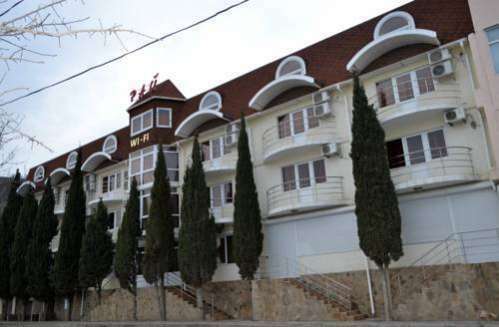 The luxurious Cape Panwa Hotel is situated in quiet area on Panwa Beach. 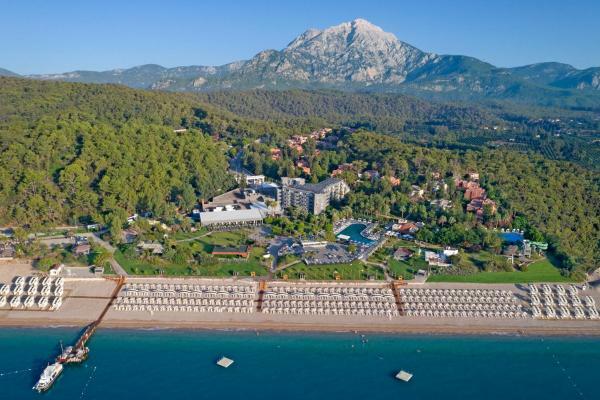 It features 10 dining options, a well-appointed spa and luxurious accommodation with sweeping views of the sea. 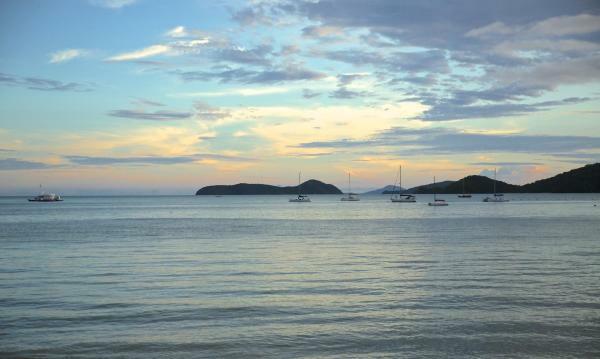 Located along Ao Yon Bay, near Cape Panwa, The Cove offers comfortable accommodation with sea views. Free Wi-Fi is available. Bungalows and villas feature air conditioning, a flat-screen TV and a full minibar. 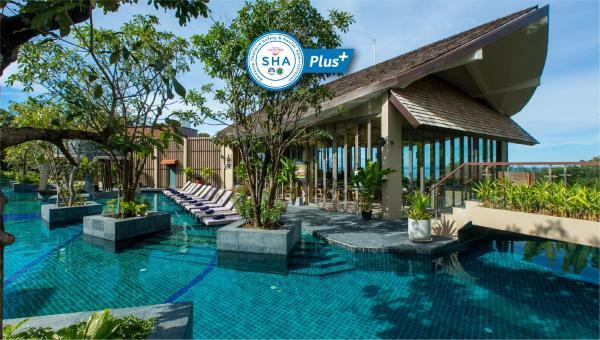 Situated along quiet Mai Khao Beach, SALA Phuket Resort features 3 beachfront pools and villas with private pools and sundecks. 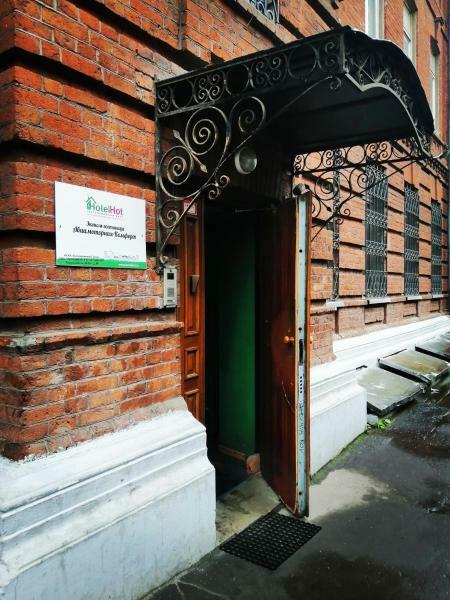 A spa with sauna and steam bath facilities is offered. 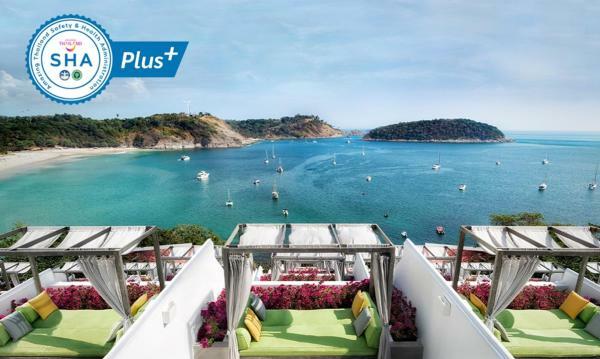 Boasting stunning sea views and a beachfront location, The Nai Harn is nestled in a tropical hillside overlooking the beautiful Nai Harn Beach. 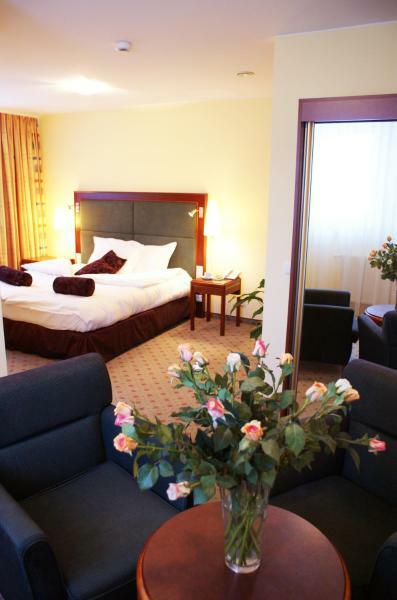 Comfortable rooms and suites offer a spacious balcony that looks out towards the ocean. 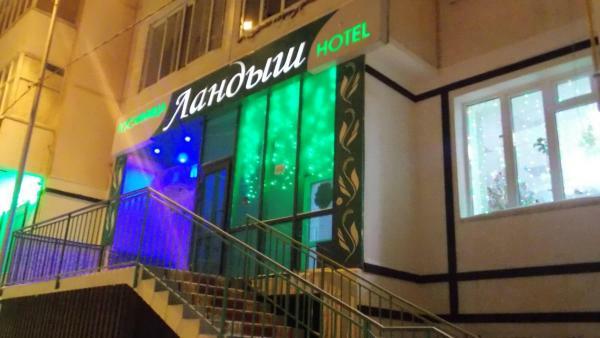 A 10-minute walk from Bangla Road, The Nap Patong offers luxurious accommodation with a flat-screen TV and DVD player. 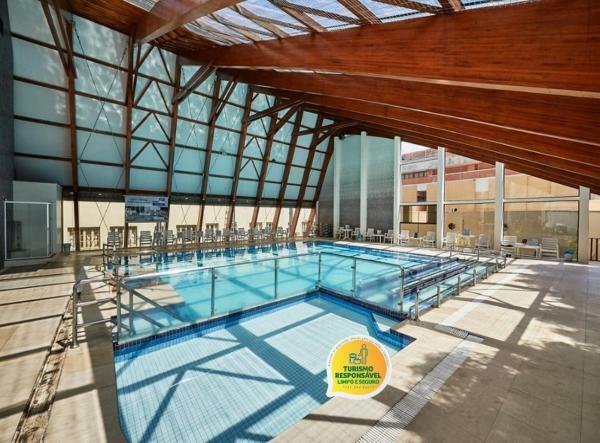 Guests enjoy free Wi-Fi and the use of the pool. Each stylish room at Patong Nap comes with a balcony, minibar and seating area. 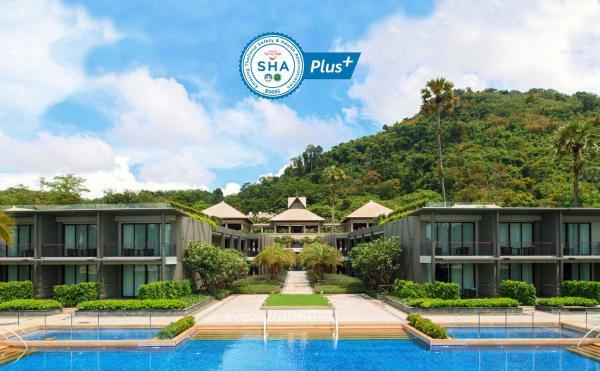 A 3-minute walk to the bustling Patong Beach, Novotel Phuket Vintage Park Resort offers stylish air-conditioned rooms with free Wi-Fi and a private balcony overlooking the spacious pool. 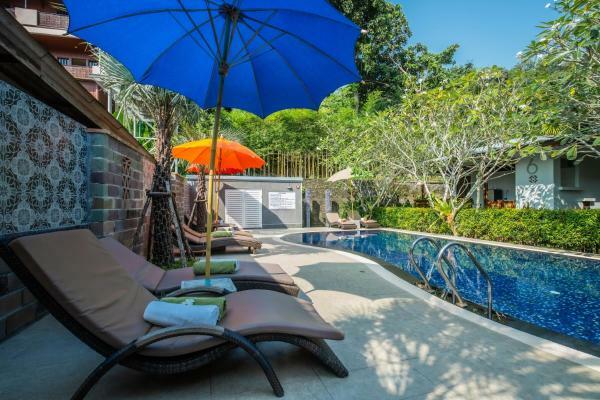 Kata Tranquil Villa is a 5-minute drive from Karon and Kata Beaches. 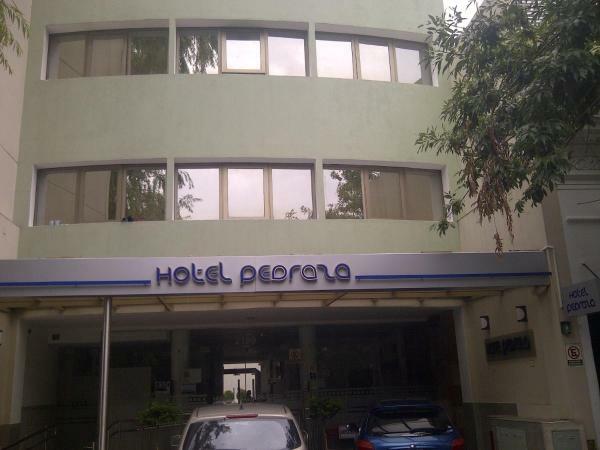 Offering comfortable accommodation, it is equipped with an outdoor pool and on-site parking facilities. Free Wi-Fi is available throughout the property. 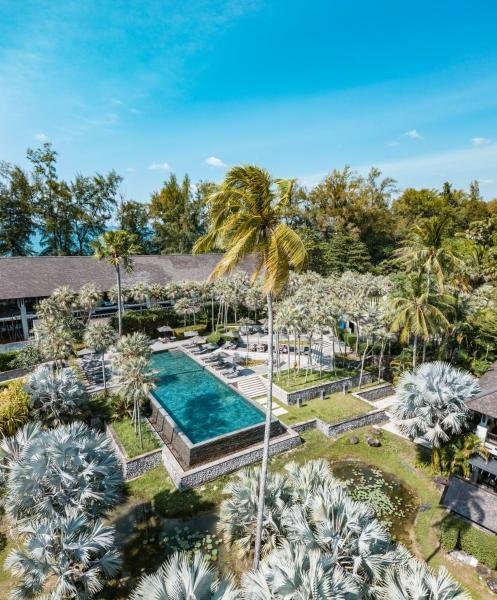 The Slate presents industrial chic design set against the beautiful natural backdrop of Nai Yang Beach and Andaman Sea. 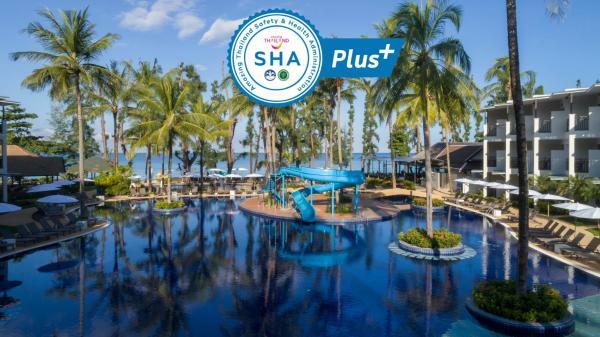 A beachfront location along the tree-lined white sands of Mai Khao is the Holiday Inn Resort Phuket Mai Khao Beach, which offers tropical getaways with a spa and infinity pool. 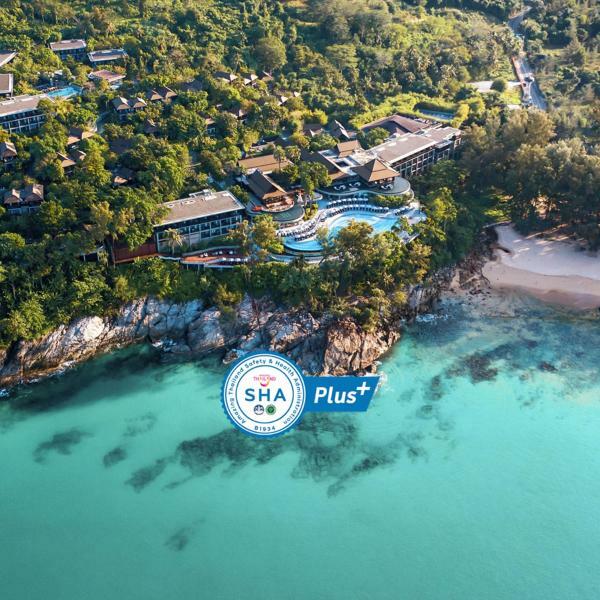 Perched on the headland overlooking the Andaman Sea with direct access to Naithon Beach, Pullman Phuket Arcadia Naithon Beach offers guests a tranquil and relaxing getaway. 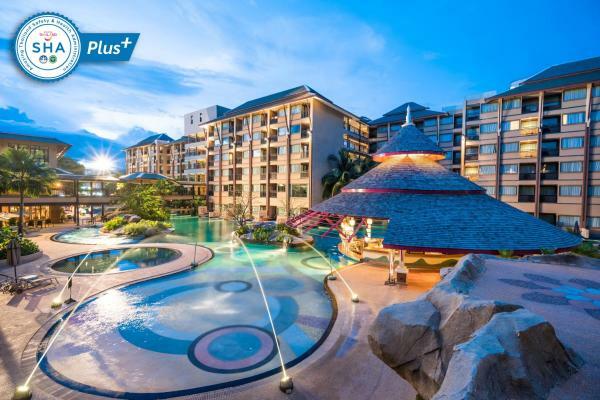 Located on the white sands of Bangtao Beach, Sunwing Bangtao Beach offers spacious accommodation. 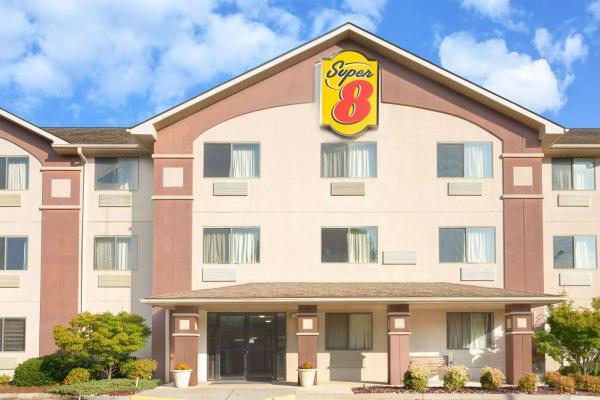 It has several large outdoor pools and 2 dining options. 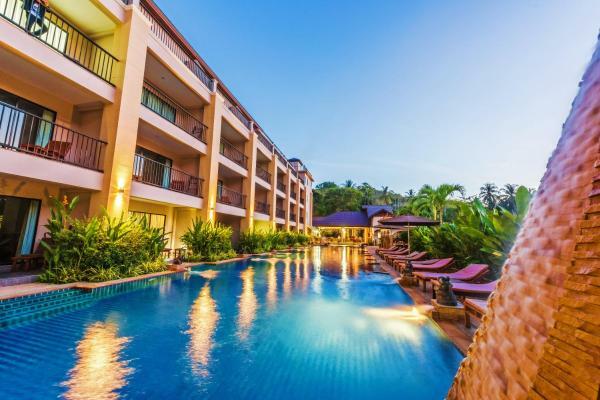 Mandarava Resort and Spa, Karon Beach is conveniently located within a 10-minute drive from Patong Beach, the vibrant nightlife on Bangla Road and Jungceylon Shopping Centre. 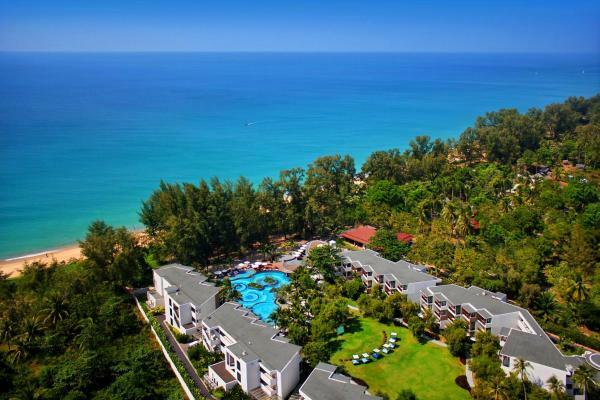 Located on peaceful Tri-Trang Beach, Phuket Marriott Resort & Spa, Merlin Beach is 16 km from Phuket Town and 3 km from bustling Patong. 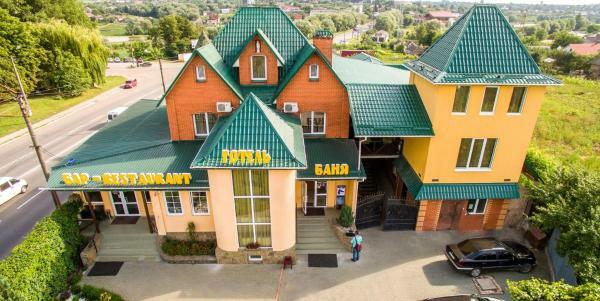 Hotel booked 7 times today. 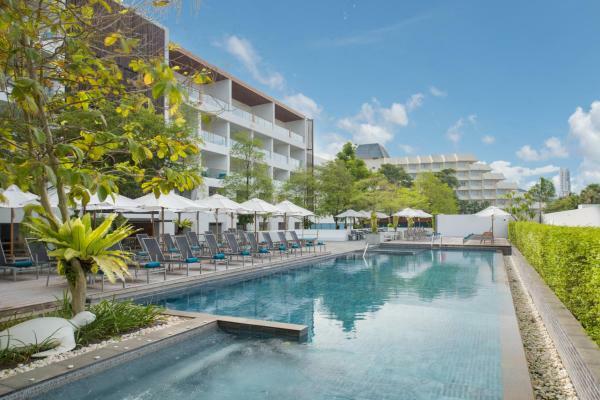 Boasting an outdoor pool and a restaurant, The Windmill Phuket Hotel is located in Rawai. It is just a 2-minute walk from Yanui Beach and about 800 metres from Promthep Cape. 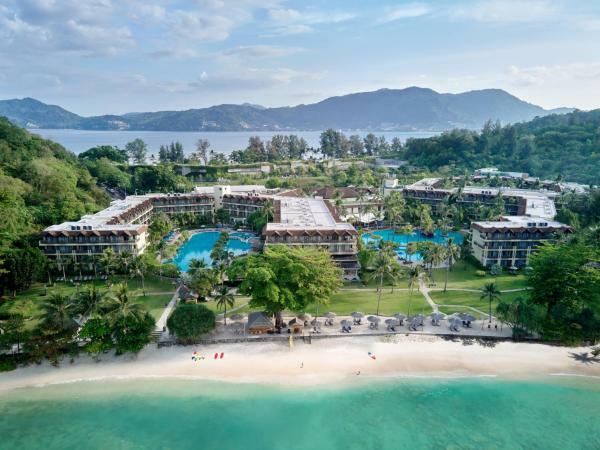 Phuket Marriott Resort and Spa, Nai Yang Beach offers quiet, secluded accommodation within walking distance of Nai Yang’s main beach. It boasts a restaurant and a large lagoon pool winding through the resort.